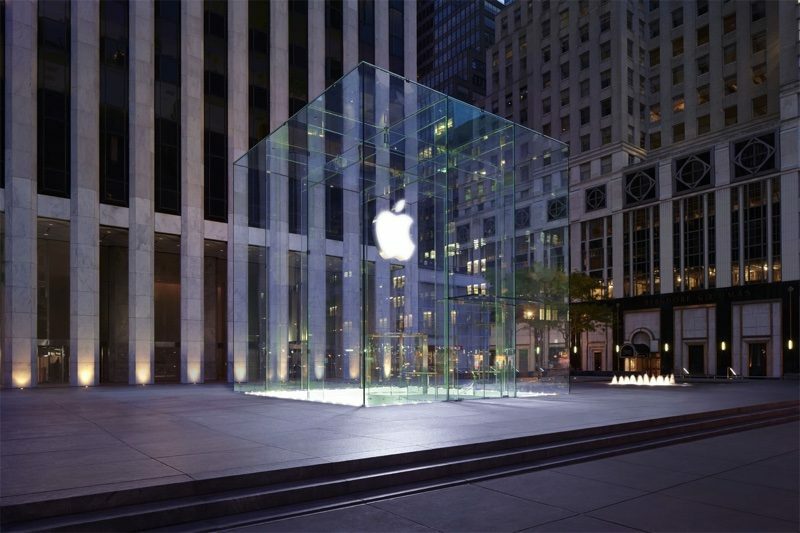 Apple is currently working on renovating its iconic Fifth Avenue Apple Store in Manhattan, and when finished, the new store will be more than double the size of the original location, according to a new report from Bloomberg. The store will be expanded from 32,000 square feet to 77,000 square feet, giving Apple more space to work with. The company's plans were shared by Douglas Linde, president of Boston Properties Inc., which owns the General Motors Building where the store is located. While construction is underway, Apple has relocated the store to a nearby empty storefront that formerly housed the FAO Schwarz toy store. Plans to renovate the Fifth Avenue store were first announced in 2015 and are part of a wider set of Apple Store renovations Apple has undertaken. It is not clear how long it will take Apple to revamp the store, but while work is underway, the temporary FAO Schwarz location will remain open. Get out your salad spinners. How can you make this story negative. And with that comment, this site officially has more premptive complaints about "negative" comments than actual negative comments. Congratulations! Your ongoing contributions have been integral to this achievement. Also, Apple is doomed! We can't forget that. Wish they made their computers like their stores. This is good news. The store was small for a flagship, and always very cramped. big, glass, and always congested? I'd assume so. Unless they nix the cube and make it two floors (one above ground). More capable, while keeping the outside as minimal as possible? One need not issue a challenge like that on MacRumors. There could be a story about Tim Cook curing a kid of cancer and people would say he should be fired for not focusing on the Mac. I haven't been there but understand it's all underground, so does this mean they have to dig-out double the space under there to gain the new space? The right side had a hallway back to bathrooms and such and seemed like an inefficient use of space, they could probably expand that way without having to bring in excavators.